AFSA's publications are among our most important tools to inform, educate and engage. Our most visible outreach tool is our flagship magazine, The Foreign Service Journal. With a circulation of 18,000, the FSJ not only goes to every member of AFSA but also to a large group of outside audiences – including all foreign embassies and key offices on Capitol Hill. 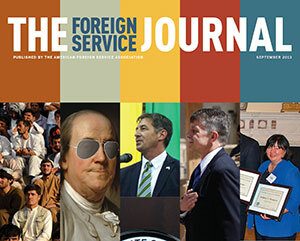 With ten issues a year, the FSJ is our best way of putting the amazing work of the Foreign Service in front of those who most need to know about it. Click here to read more about The Foreign Service Journal. AFSA also publishes AFSA News, the association/union newsletter which is included monthly in the FSJ. 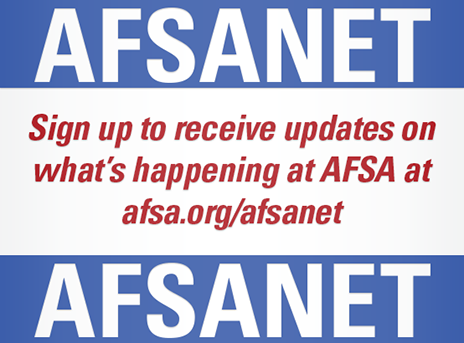 This is where we tell you what’s going on at AFSA – what are we working on, what events and programs are coming up, what you need to know as a member of AFSA. Similarly, the AFSA Newsletter is a bi-monthly publication aimed mostly at our retirees, with a focus on benefits and federal issues. FS Books is our publishing arm, which already has a worldwide bestseller under its belt. 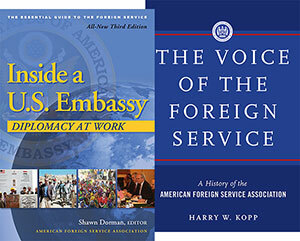 Inside a U.S. Embassy: Diplomacy at Work is now in its third edition, and has sold over 100,000 copies worldwide. There is no better primer on the Foreign Service. Anyone considering a diplomatic career should have a copy of this book. 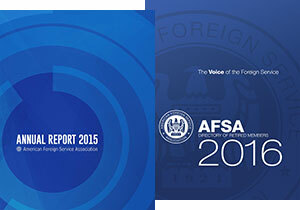 FS Books published its second book in 2015: A history of the American Foreign Service Association. Our other publications include our indispensable annual tax guide for members of the Foreign Service, the AFSA annual report, our semiannual education supplement with information tailored to Foreign Service families, and the annual retiree directory. We encourage you to connect with our publications and outreach staff if you have questions or are interested in our work.